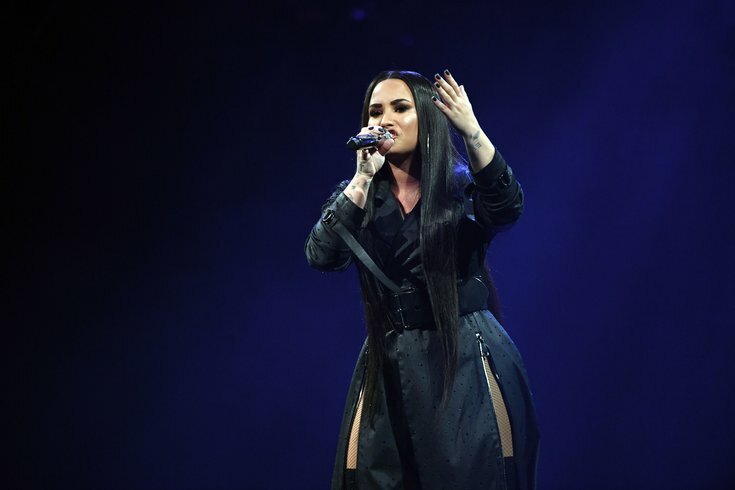 Lovato was scheduled to perform on the beach in Atlantic City this Thursday, July 26, as part of the city’s ongoing concert series on the sand. Demi Lovato's only East Coast concert this summer will take place at the Jersey Shore. The singer and actress announced Monday she'll be performing on the Atlantic City beach on Thursday, July 26, as part of the resort town's ongoing concert series on the sand. Lovato mostly will be touring Europe this summer, with one stop scheduled in California. In a statement, Lovato said since this would be her only East Coast show this summer, she wanted to do something different. "And nothing screams summer more than the beach! This is going to be such a fun show, and I can’t wait to see all my fans in Atlantic City for a party by the ocean!” Lovato said. Lovato, 25, has released six studio albums since 2008. Her latest release, "Tell Me You Love Me," hit the airwaves in September and peaked at No. 3 on the Billboard 200 album chart. Lovato joins the Chainsmokers and Sam Hunt, who will also be doing shows as part of the Atlantic City BeachFest Concert Series. Singer LAUV also will be performing. Tickets for general public go on sale Thursday, May 24, at 10 a.m. There are several presale opportunities through LiveNation and other organizations. Information on tickets and presales can be found here.